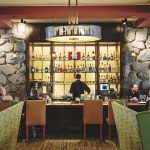 Long known for its country music scene, Nashville has recently built a reputation as a food and beverage destination. And after a 2009 law reintroduced distilling for the first time since statewide Prohibition in 1910, a crop of craft distillers has sprung up, making all sorts of whiskey. While some distillers are breaking new ground, others are reviving recipes passed down through generations. 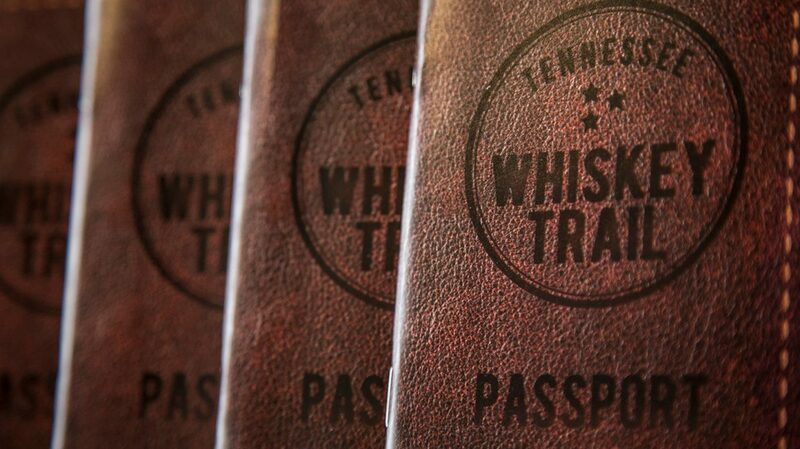 There are now enough local distilleries to support a Tennessee Whiskey Trail, established in 2017 by the Nashville-based Tennessee Distillers Guild. The trail features 30 distilleries across the state, ranging in size from boutique micro-distillers to the big guys, George Dickel and Jack Daniel’s. With a number of innovative craft distillers showcasing regional ingredients and flare in Nashville and the surrounding area, there’s good reason to break away from the honky tonks on Lower Broadway to sample some locally grown and distilled whiskeys. As the first legal distillery in Nashville since Prohibition, Corsair founders and longtime friends Darek Bell and Andrew Webber have forged a path for highly imaginative whiskeys crafted with unconventional ingredients and distilling techniques. Corsair’s cherry-smoked Nashville bourbon is a limited release whiskey. The company’s flagship Triple Smoke American single malt is made with barley that is smoked in one-third amounts with cherry wood, peat, and beechwood. The resulting whiskey features charred-oak sweetness balanced with a rich smokiness. Corsair’s lineup also includes Quinoa Whiskey, Ryemaggeddon, the seasonal Oatrage, and Wild Fire, a 100% hickory-smoked malt whiskey made with barley grown, malted, and smoked at Corsair’s farm in rural Bells Bend, Tennessee. The company’s inventive spirits don’t stop at whiskey. Corsair also makes Artisan Gin, Red Absinthe, Vanilla Bean Vodka, Spiced Rum, Barrel Aged Gin, and Genever, as well as seasonal and experimental spirits such as Pumpkin Spice Moonshine. 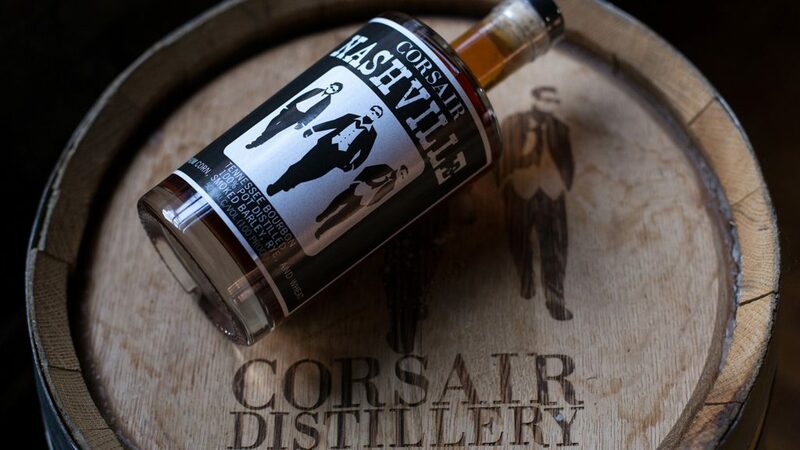 Corsair currently operates three distilleries—the original facility in Bowling Green, Kentucky (opened prior to legalized distilling in Nashville’s Davidson County), the first Nashville distillery on Clinton Street in Marathon Village, and its newest location serving as the headquarters in Nashville’s hip Wedgewood-Houston neighborhood near downtown. 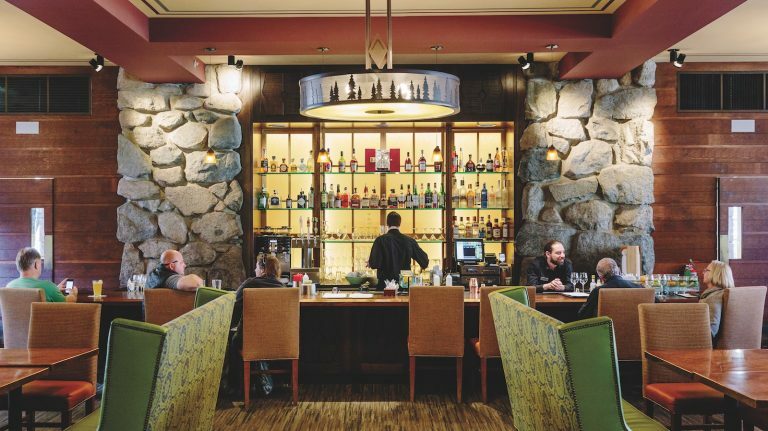 Visitors to the flagship distillery on Merritt Avenue can taste the full Corsair portfolio, as well as craft cocktail flights and selected single barrel bottlings in the tasting room and two-level patio. Tours run on the hour from 3:30 to 6:30 p.m. on Tuesday through Friday; 12:30 to 5:30 p.m. on Saturday; and 12:30 to 4:30 p.m. on Sunday. The distillery is open to the public on most days beginning at noon. Steeped in a rich history of Tennessee distilling that dates back to the 1880s, Nelson’s Green Brier Distillery was brought back to life in recent years by founder Charles Nelson’s great-great-great grandsons, Charlie and Andy Nelson. 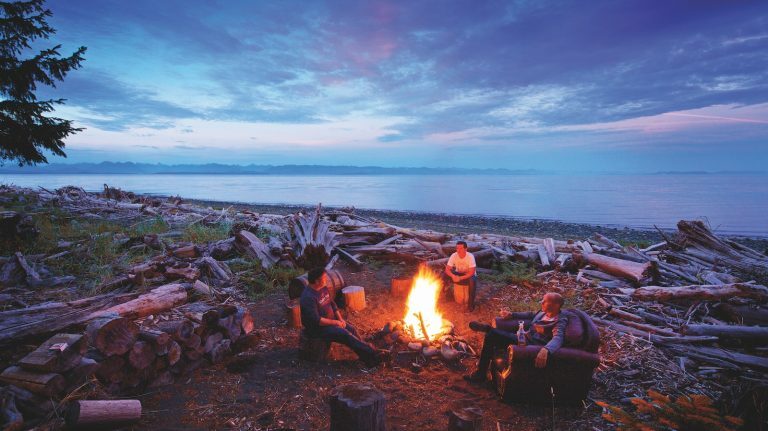 The brothers, fresh out college in 2006, stumbled across a few bottles of the original Nelson’s Green Brier Tennessee Whiskey and made it their mission to revive the once-thriving brand. One hundred years after closing its doors due to state Prohibition, the historic whiskey was restored. 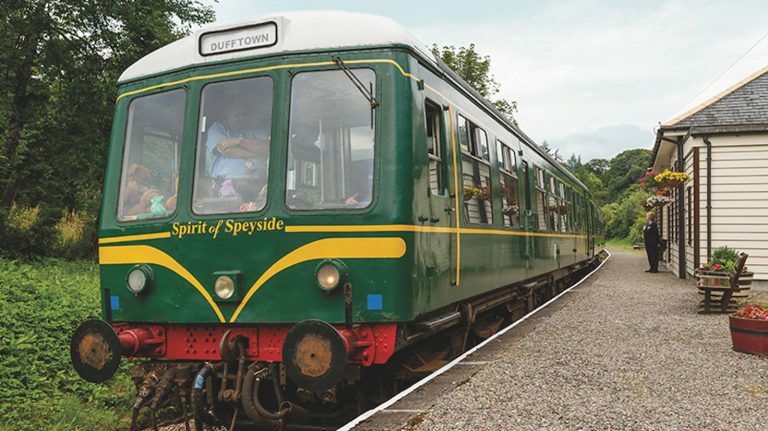 Brother’s Charlie and Andy Nelson revived Nelson’s Green Brier one hundred years after it closed. The distillery’s offerings currently include Nelson’s Green Brier Tennessee White Whiskey, as well as Nelson’s First 108 Limited Release Tennessee Whiskey and Nelson’s First 108 Single Barrel Tennessee Whiskey, which were created from the original family recipe and debuted in July 2017. The next Nelson’s Green Brier whiskey—which will be aged at least four years—is set for release in 2019. 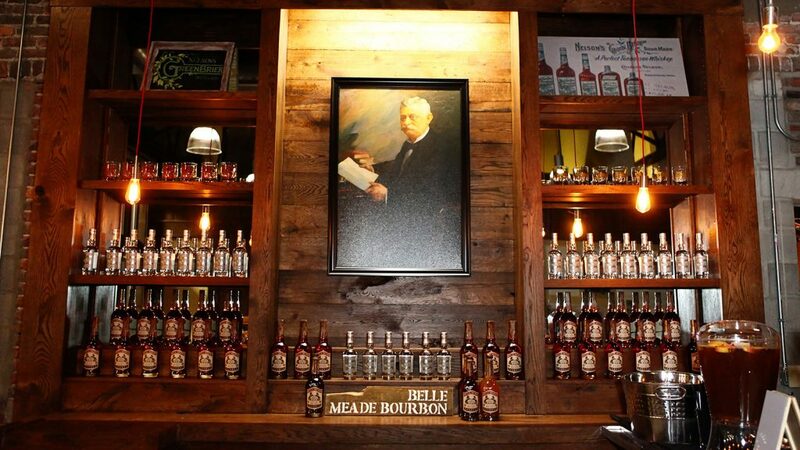 The distillery also produces Belle Meade bourbon, one of about 30 labels that original founder Charles Nelson produced in the 19th century with Sperry Wade & Company of Nashville. Today, Belle Meade’s small-batch bourbons are sourced from MGP Distillery in Indiana and feature a mashbill with 30% rye. The Belle Meade line has Classic, Cask-Strength Single Barrel, and Special Cask Finish whiskeys, which include finishes in oloroso sherry, cognac, and madeira casks. The original Nelson’s Green Brier grain house and barrel warehouse—located in Greenbrier, Tennessee—is now on the National Register of Historic Places, but visitors can tour the company’s distillery near downtown Nashville. Tours and tastings are available on the hour from 12 to 6 p.m. on Tuesday through Sunday. 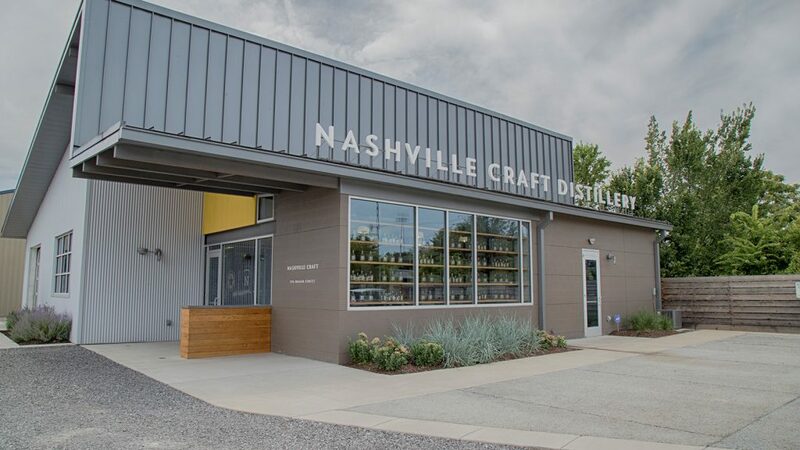 Nashville Craft Distillery opened in March 2016 in a sleek industrial space in Wedgewood-Houston. President and owner Bruce Boeko is a former DNA laboratory director and home wine and beer maker who decided to jump into distilling spirits from local and regional ingredients. Rachel Sykes serves alongside Boeko as the distillery tech, with responsibilities ranging from mashing and distilling to running the tasting room. In addition to its namesake label—which includes Crane City Gin and Naked Biscuit, which is made from sorghum—the distillery produces the Fugitives Spirits brand with partners Jim Massey and Darren Briggs. Fugitive’s Grandgousier Tennessee Whiskey showcases the state’s terroir; it’s made in small batches with malted barley and local Hickory Cane heirloom corn, and uses the Lincoln County Process. Fugitive’s line also includes the unaged Manifesto Tennessee Nascent Whiskey and Tennessee Waltz Whiskey, distilled from a bourbon mash that uses sustainably-sourced Tennessee grains. Boeko and Sykes host tours most days of the week, with the distillery open from 10 a.m. to 6 p.m. Tuesday through Saturday and 12 to 6 p.m. on Sunday. Prichard’s is the only distillery that is allowed to label its whiskey as Tennessee whiskey without using the Lincoln County Process. Master distiller Phil Prichard employs distilling techniques passed down through five generations of his family from his five-times-great grandfather Benjamin Prichard. Prichard’s whiskeys include Tennessee Whiskey, crafted in Benjamin Prichard’s style, Rye Whiskey, Tennessee Malt Whiskey, Lincoln County Lightning unaged corn whiskey, Double-Barreled Bourbon and Double Chocolate Bourbon, which is made in partnership with the local Olive and Sinclair Chocolate Company. Prichard’s also makes a number of rums and liqueurs. Prichard’s original distillery opened in 1999 and is located in a historic schoolhouse in Kelso, Tennessee, about 100 miles south of Nashville near the Alabama border. It is open 9 a.m. to 4 p.m. on Monday through Friday, and 9 a.m. to 3 p.m. on Saturday. Prichard’s opened a Nashville-area distillery in 2014 at Fontanel, a 186-acre property formerly owned by Country Music Hall of Famer Barbara Mandrell. 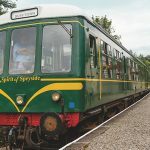 In addition to the distillery and tasting room, located in an adjacent log cabin, the facility includes tours of the mansion, dining, lodging, shopping, and outdoor activities like zip lining, concerts, and hiking. The Fontanel distillery is open 10 a.m. to 6 p.m. on Monday to Saturday and 12 p.m. to 5 p.m. on Sunday. Pennington Distillery makes Davidson Reserve Rye and a collection of additional spirits. Former SPEAKeasy Spirits co-founders Jenny and Jeff Pennington established their namesake company in 2011 and are currently aging three whiskeys; the first made its debut in October 2017. Davidson Reserve Rye, named after the county where Nashville is located, was distilled from local rye that underwent an extended fermentation and was aged for more than three years in full-sized barrels. The distillery also makes Whisper Creek Tennessee Sipping Cream, Pickers Vodka, Pennington Flavored Rye Whiskey, and Collins cordials. 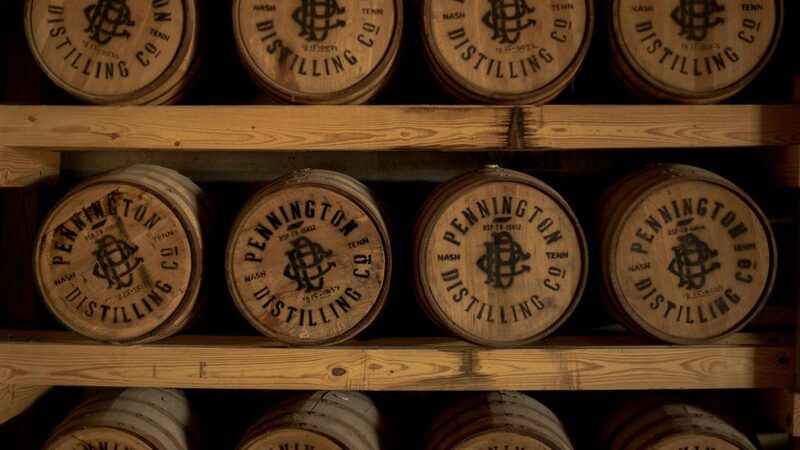 In addition to the spirits produced at its Nashville distillery, Pennington also offers blending, bottling, and marketing services to other craft brands. Located in Nashville’s up-and-coming The Nations neighborhood, the distillery is undergoing a major expansion set to open in spring 2018 that will include a new multi-level space made out of shipping containers with several tasting areas, a private events space, and rooftop bar with views of downtown Nashville. Distillery tours are currently available on the hour from 12 to 6 p.m. on Thursday through Saturday. In 2016, Lee Kennedy opened Leiper’s Fork Distillery, nestled in the rolling hills and pastoral farmland of Williamson County just south of Nashville, with a commitment to making small-batch spirits with locally sourced ingredients. The distillery currently offers Old Natchez Trace White Whiskey and Tennessee White Rye Whiskey, made with local corn, rye, and malted barley. It also sources Hunter’s Select Barrel Tennessee Bourbon Whiskey, made with 72% corn, 20% rye, and 8% malted barley and named in honor of 19th-century distiller Colonel Henry Hunter, who owned the property where the distillery now stands. Leiper’s Fork is distilling both a wheated bourbon and a Tennessee whiskey with a rye component, and plans to age them for five to seven years before release. 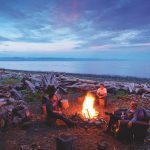 The 5,000-square-foot distillery features a 500-gallon swan neck still and cypress fermentation tanks, and its tasting room is located in a 200-year-old log cabin. Tours are available every hour from 10 a.m. to 4 p.m. on Tuesday through Saturday. Even further south of Leiper’s Fork and surrounded by Civil War battlefields is the H Clark Distillery. Founder Heath Clark opened the micro-batch distillery in August 2014, making it the first legal distillery in Williamson County in over a century. Situated in an old 1,200-square-foot granary, H Clark uses a direct-fire pot still to make its spirits. It currently offers Tennessee Bourbon, New Whiskey, and Tennessee Black & Tan Whiskey made from oatmeal stout, as well as Tennessee Dry Gin and experimental releases. H Clark Distillery offers tours 11 a.m. to 4 p.m. on Monday through Friday, and 12 p.m. to 4 p.m. on Saturday and Sunday. Located about 50 miles from Nashville in Clarksville, Old Glory is releasing its first barrels of White Hat Whiskey, a bourbon, in December 2017. The distillery also makes Jumper’s Stash White Rum, Tennessee Vodka, and Smooth Shine Tennessee Moonshine. Tours and tastings are hosted at 1, 3 and 5 p.m. on weekdays and on the hour until 5 p.m. on weekends.